BEAUTIFUL! IMMACULATE! EAST DENNIS ! Beautiful, immaculate, no apologies here! 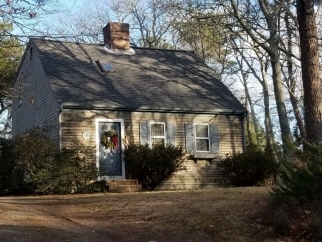 New roof, new furnace, 2x6 construction, 2 baths, new light fixtures, just shy of a full half acre, Eat-in-Kitchen with breakfast bar, NOT IN AN INSURANCE FLOOD ZONE, wide pine floors, fireplace, built-in bookshelves, full basement with interior and exterior access, gigantic half wooded yard, possible expansion, Call for your private showing. All information deemed reliable but not guaranteed. Buyer/Buyer Agent to verify all information contained herein.